Lousy team but stacked at RB. On practice squad according to a friend on Cleveland. Never had a chance for regular roster. Hyde, Duke Johnson and Chubb. He should actually feel pretty good that they liked him enough to sign him while having those 3 on the roster. The Cleveland Browns have signed RB Dontrell Hilliard to the active roster from the practice squad. To make room, the team waived DB Jerimiah McKinnon. 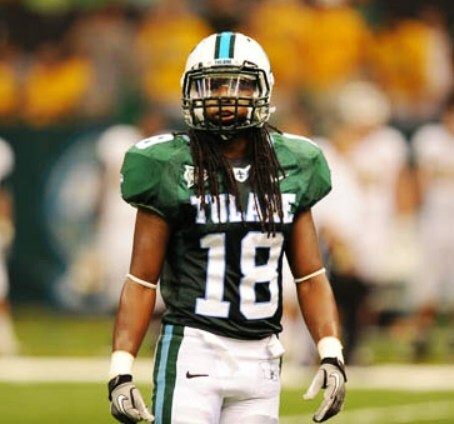 Hilliard is a 5-11, 202 pound rookie out of Tulane. Originally signed by the Browns as an undrafted free agent on May 4, Hilliard spent the first five weeks of the season on the club’s practice squad. He recorded 32 rushes for 82 yards and two receptions for 28 yards during the preseason. He is a native of Baton Rouge, La. seems like Hilliard fits that mold at RB that NFL teams look for today. The Browns are trading Carlos Hyde to the Jaguars. I presume that would be a good sign for Hilliard. Better one for Chubb I think. only in some mythical world where Hunt is reinstated any time soon. I’m sure he’ll be playing at some point this season. I don't know that's a pretty brutal video. No doubt, but I would assume that if teams were trying to sign him that they had a good idea that he’d be allowed to play this season. I think John Dorsey knows what he’s doing. I’ll go on record with that.